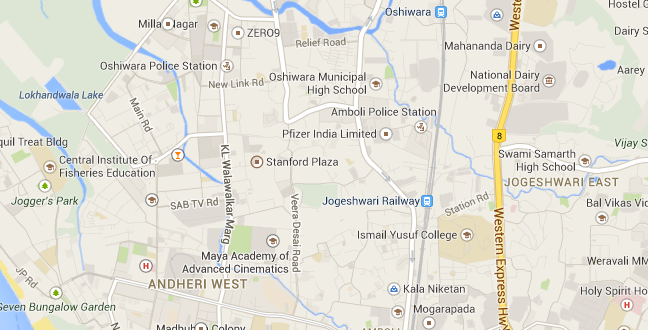 Home >> Real Estate Articles >> Bandra Vs Andheri – Where to Stay!! Bandra Vs Andheri – Where to Stay!! Bandra once fondly called the Queen of Suburbs has now become very expensive. Bandra as a location is extremely charming and due to its connectivity to South Mumbai via Worli Sea Link and an excellent connectivity to North Mumbai and Juhu – Andheri belt it enjoys best of both worlds. Bandra is still famous for its coastal views, the sea facing swank apartments, the latest restaurants and of course it is home to who so who of Mumbai. Bandra prices today are in the range of Rs.35000/- to Rs.50000/- PSF on an average, however, this is still going up as Bandra does not have many properties which are of large size today. Most of the buildings are stand alone with the scarcity of Car Parking and a few challenges of views as most buildings will look into each other. The growing population of Bandra in the third generation is feeling short of residential housing space and the obvious choice to match the lifestyle, the crowd is Andheri West. 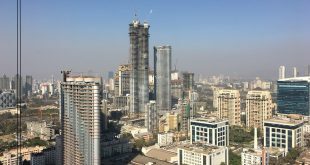 Andheri West today is one of the most sought after locations, brands like Oberoi Realty already have a presence in the niche premium segment of Lokhandwala Complex. 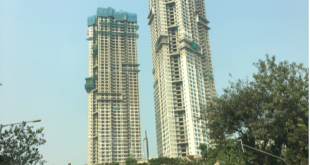 L & T Realty, Shapoorji Pallonji Real Estate, DLH Group, Windsor Realty Pvt.Ltd., Raisakaran, Rustomjee, The Wadhwa Group are making premium developments here. The Prices in this area have already shot up for Premium Properties in the range of around 25000 to 30000 PSF. In Bandra, for similar properties, you may have to pay above Rs.60000/- PSF, yet not get the kind of quality and space which one yearns for in this segment. Andheri West has the finest restaurants, car showrooms of nearly each Car Manufacturer starting from An Audi, BMW, Mercedes, Renault, Honda, Maruti Suzuki, Nissan, Mitsubishi, Hyundai, Tata Motors, Skoda you can find them all in 2 sq km. 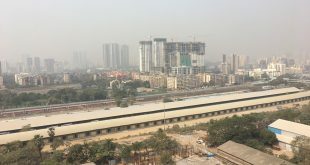 The New Metro expected to come up in Jan 2014 will further strengthen the connectivity to Andheri Station and Ghatkopar and this will firm up commercial real estate in this location. Andheri West has Malls, Kokilaben Hospital, Theatre’s eateries etc…all the stuff which a Bandraite might miss in Bandra. Bandra has a great upside still, but in coming days, don’t be surprised to see Premium Properties in Andheri West quoted at equivalent prices. Sandeep Sadh – Managing Director – Founder – Mumbai Property Exchange Pvt Ltd. Tags Andheri West Bandra Prices Bandra West Commercial Real Estate DLH Group Juhu Oberoi Realty Ltd Premium Properties Raisakaran Rustomjee Rustomjee Elegance Rustomjee Elita Sea Facing Homes Shapoorji Pallonji Real Estate The Nest The Wadhwa Group Windsor Realty Pvt.Ltd.